This winter is erratic and harsher than usual. The temperature swings this season have been like a trampoline. From below zero to 5oº F. in just two days recently. 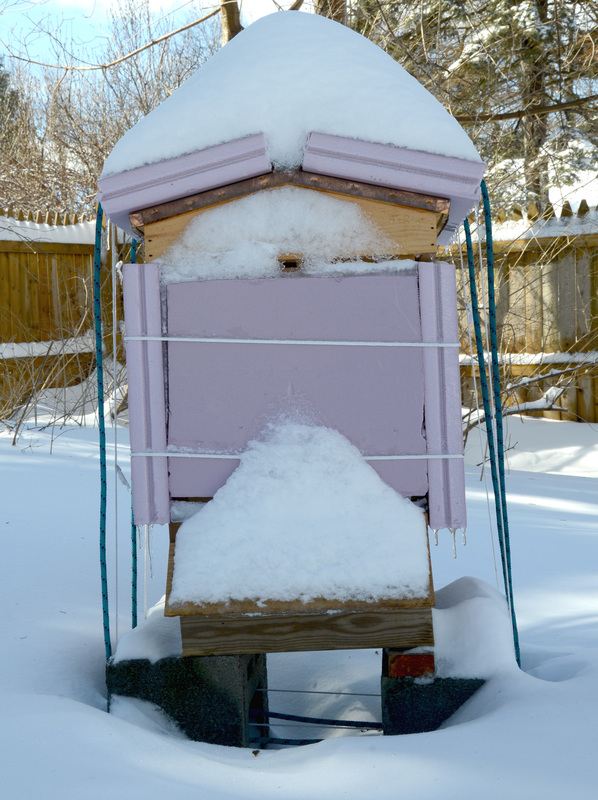 We have had plenty of snow this year; around two feet in the last two weeks alone. 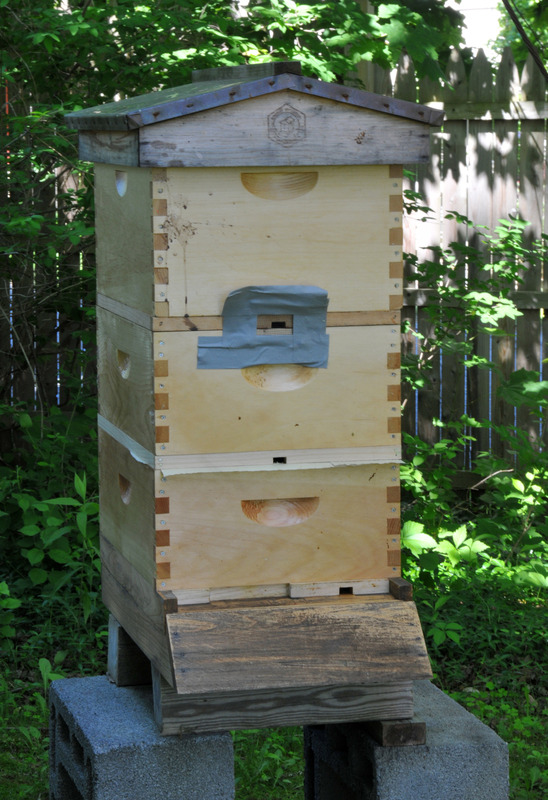 My friends and colleagues have been asking about our bees. 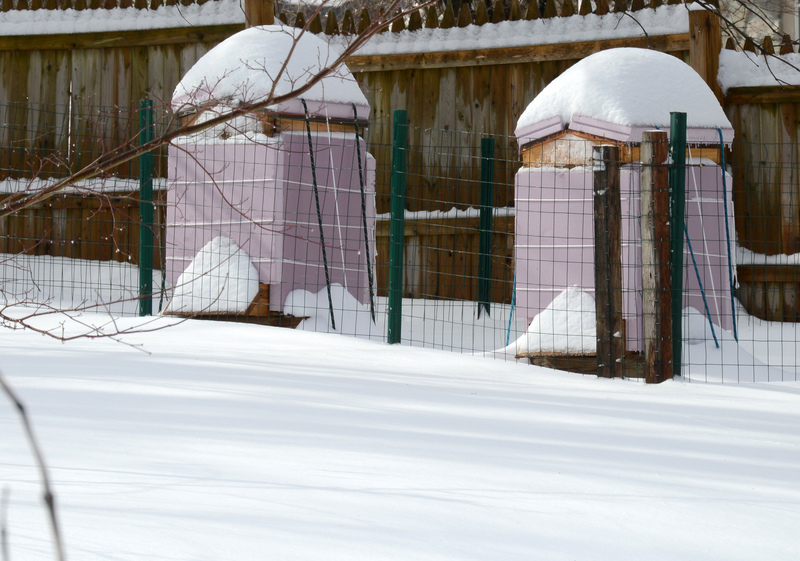 They know I’ve wrapped the hives up pretty well but this winter has been different from previous years. 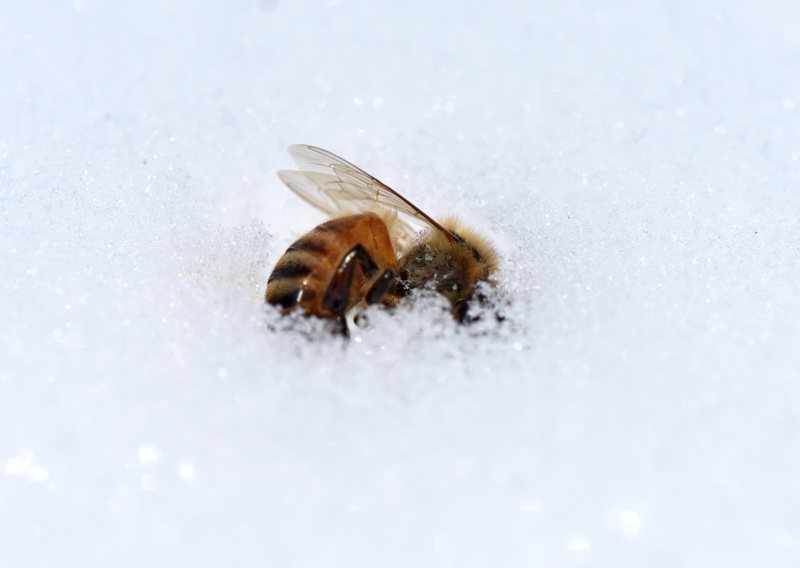 I didn’t really know how the bees were faring in their hives, but after yesterday’s snow the accumulation reached the hive landing, so I decided to check on them. 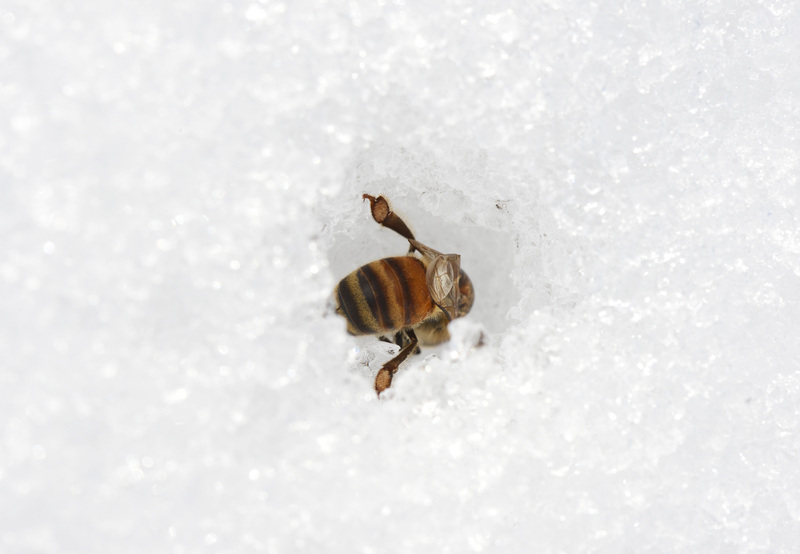 I found a few dead bees on the snow, one or two of them still alive, barely and it was 40º F. so I don’t know why they were out. 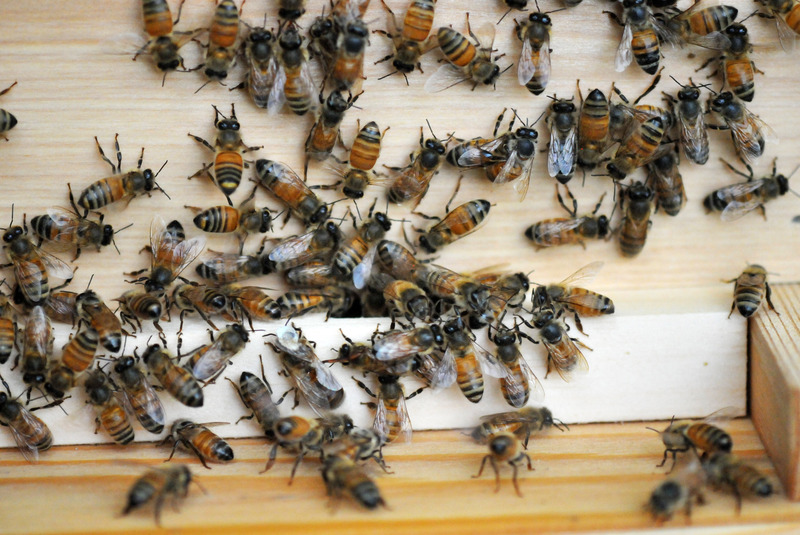 I wonder if they know they are dying and don’t want to burden their comrades to carry them out after death, so they willingly leave the hive when they still can. Or, they mis-calculate the temperature outside which is very unlikely. 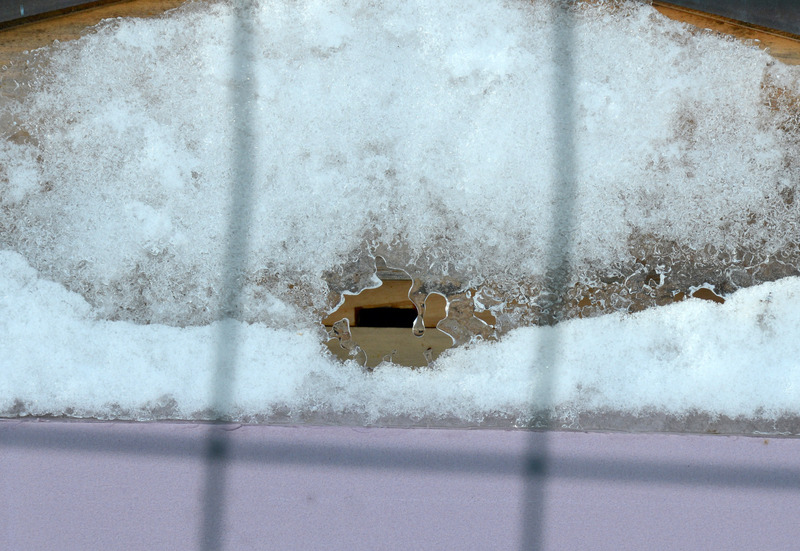 It’s too cold to open the hive at this time but the sign that there are live bees in there is a little open hole in the snow covering the upper entrance. 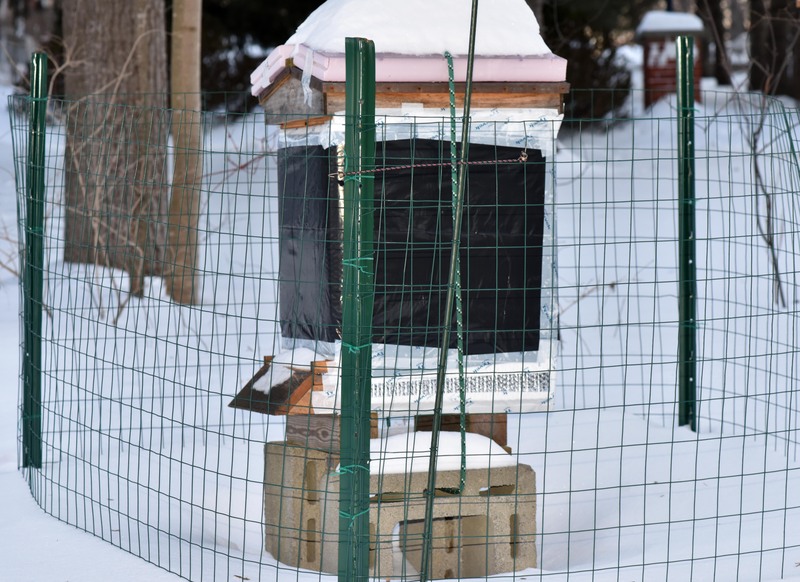 The bees need to regulate the temperature in the hive and keep it warm enough for their comfort. The warm air they create rises up and comes out through the top entrance. It wouldn’t be that easy for me to figure out if there weren’t any snow. That little hole keeps my hopes up. 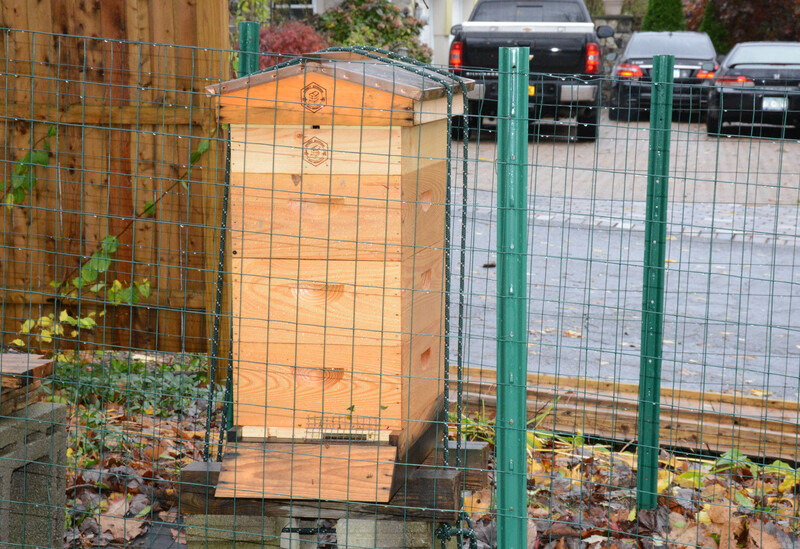 Up close on one of the hives. 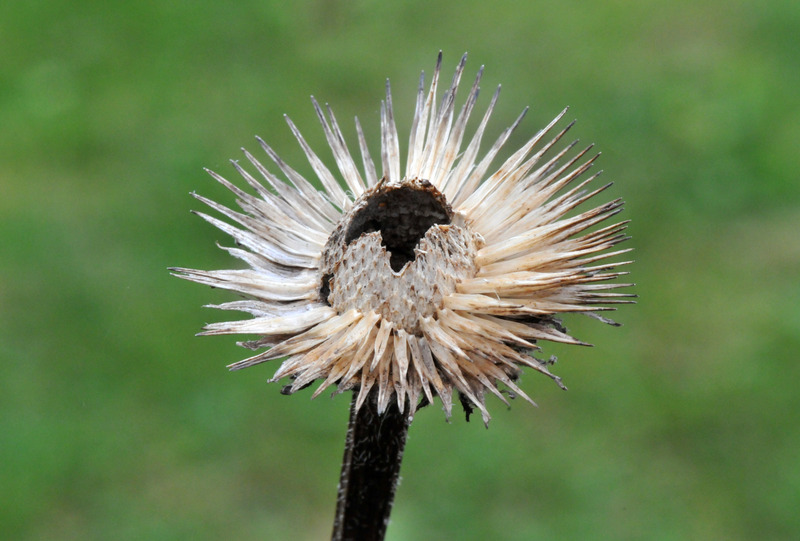 Heat from the bees has opened it. Hurricane ‘Sandy’ hit the northeast coast of the US last Monday, October 29. The eye of the storm made land fall on the New Jersey shore to be exact, but the effect of it is wide spread. In Lower Manhattan, from 34th street down, lost power that Monday night and most of the area just gained it back the following Saturday. Further in land where we live, there were many trees down and we lost power and cable on that Monday and didn’t get it restored until Saturday afternoon. 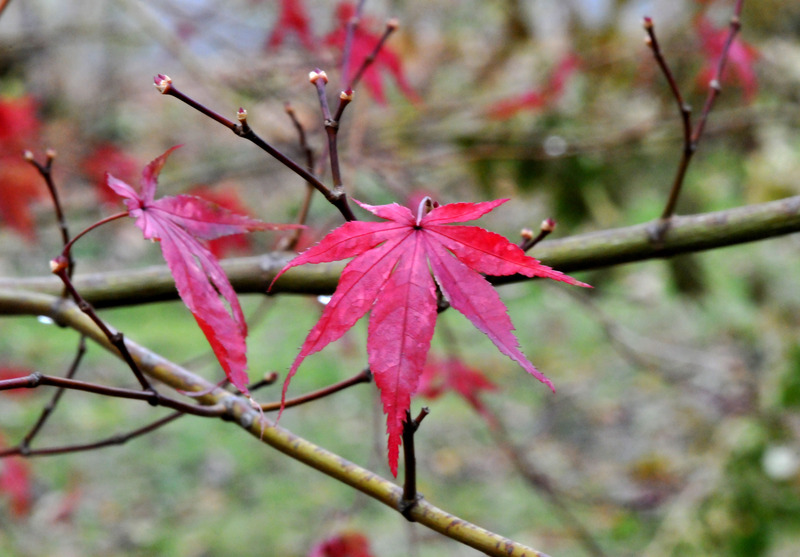 The sky started to clear on Tuesday afternoon, but the clean up process will last much longer. 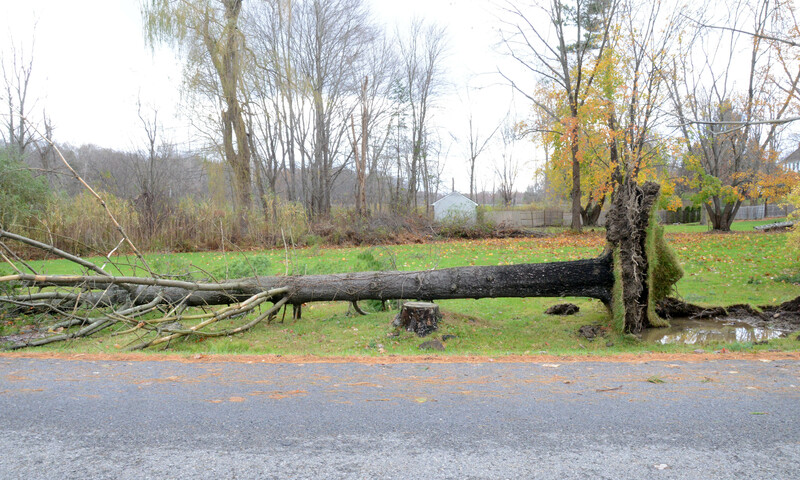 A pine tree was uprooted along the roadside leading to where we live. 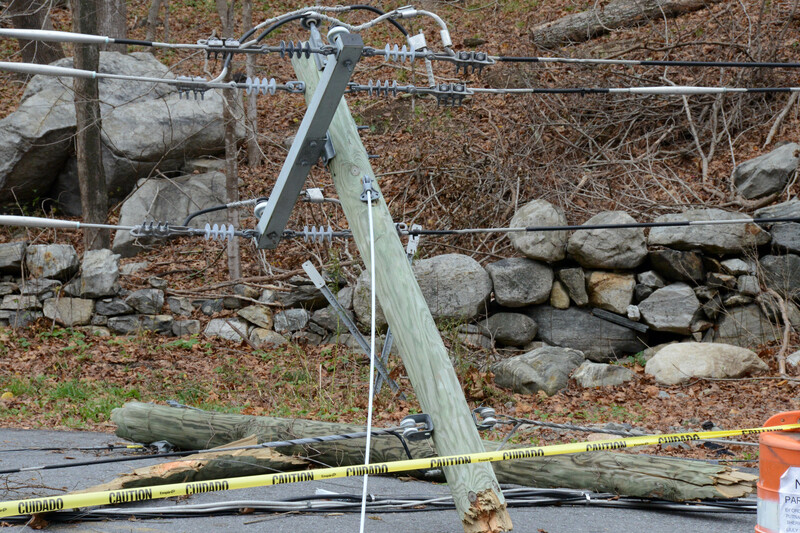 A power pole broken in half and blocking the road. 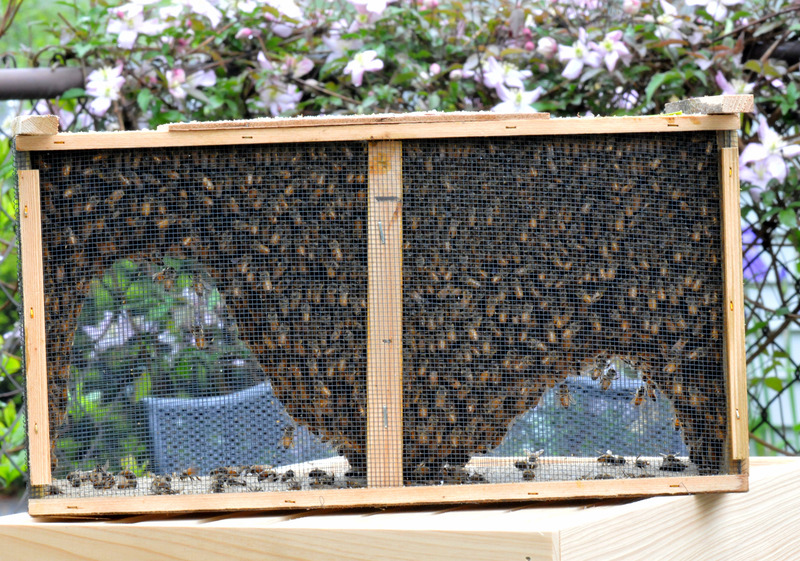 Our beehive was left standing despite a whole section of the fence right behind it having been blown off. I actually laughed at this. 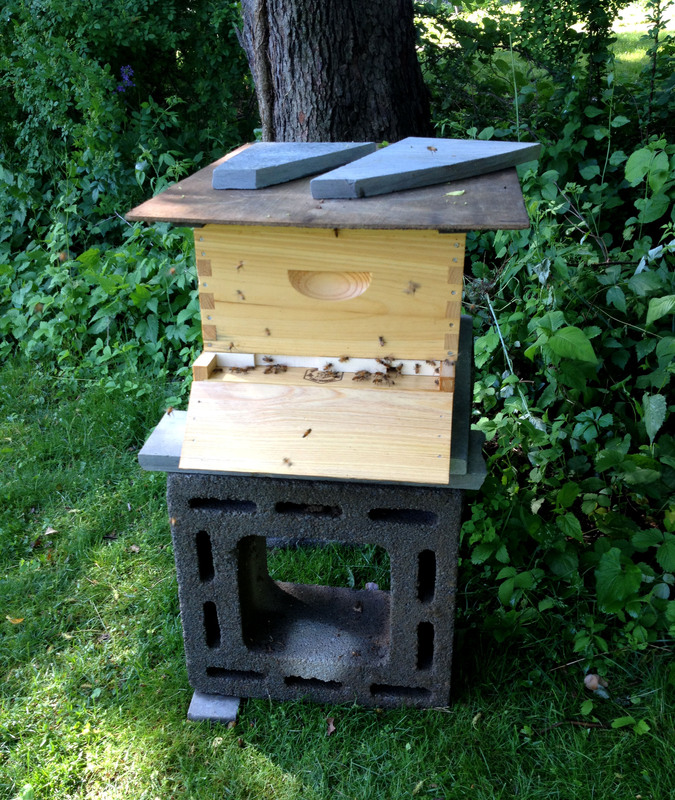 The post office called at 7:00 am today to notify me that my shipment of bees is at their station. I’m required to pick it up. The bee company won’t ship bees to the house since the shipment cannot be unattended. They were shipped in a screen cage, approximately three pounds of them in there. 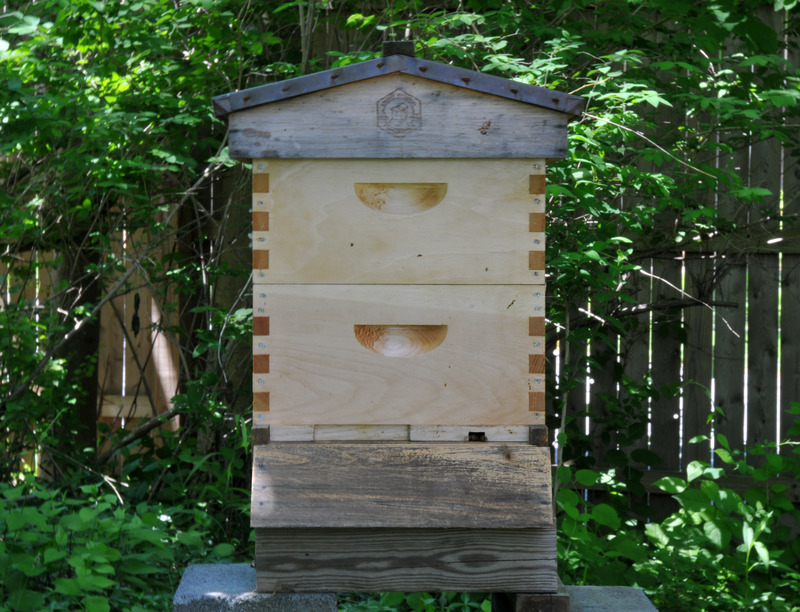 My neighbor and I were fascinated by how much interest the people at the post office took in my bees. One person actually asked me what I will do with them. I almost said..deep fried with salt and pepper. Anyway, I prepared everything before I could free them. 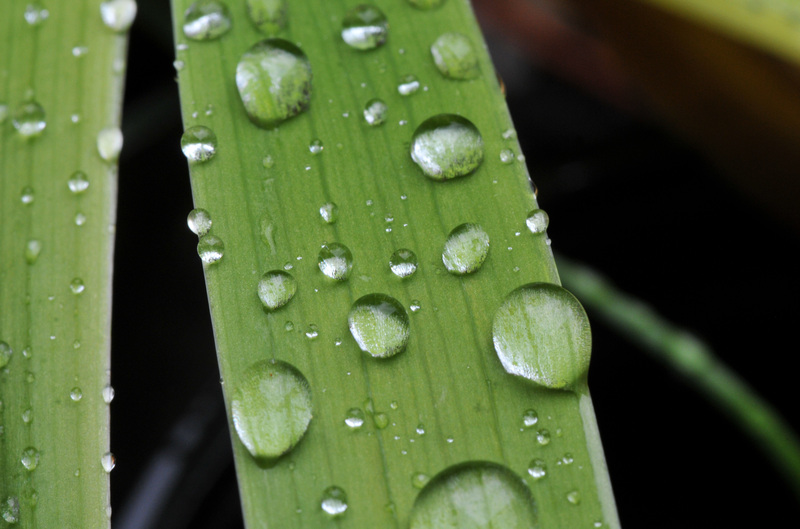 It was a cloudy and cool day and the rain had just stopped. As soon as I pried the top of the cage open and lifted a tin can of food out, some of them shot right out past me. My problem was getting the queen’s cage out of the box. 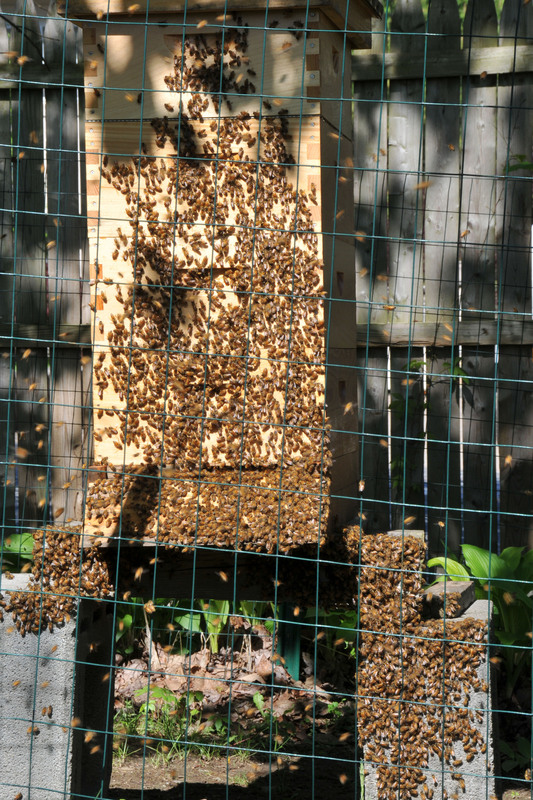 A whole bunch of bees were swarming on the little cage. I brushed some off, more immediately landed on it. I didn’t wear any gloves and had no smoker either since I didn’t want to stress them any more than the trip had. 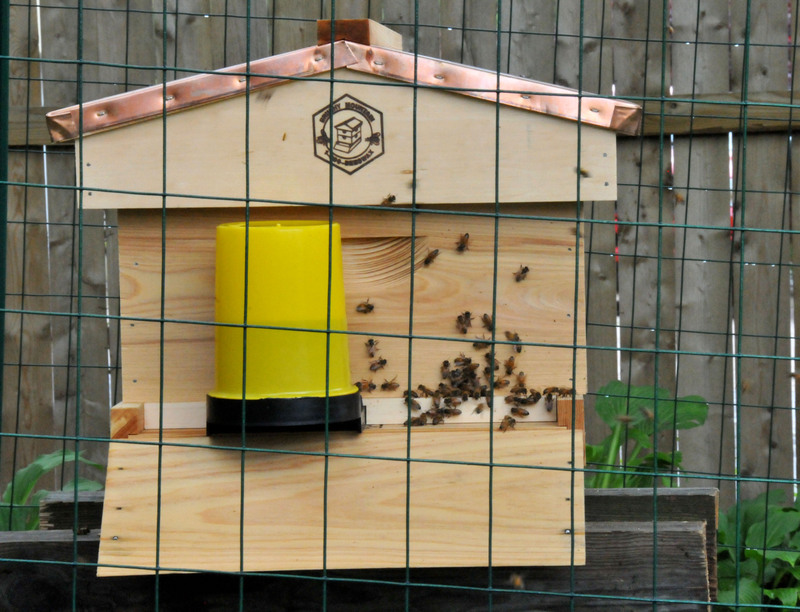 A little wrestling and I managed to free the queen’s cage, pop the cork on the end and set it in the hive. 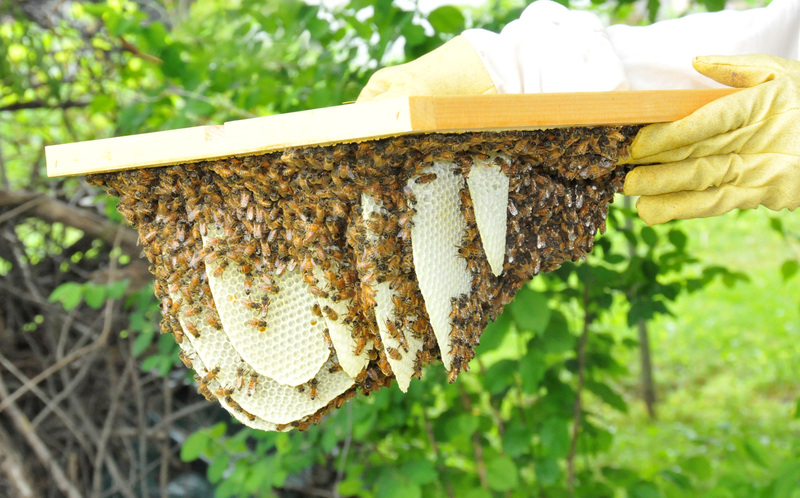 Next, the nerve-wracking part…putting the bees in the hive. Following directions, I had already poured sugar water on them in the cage. I was hoping that it might make their wings stick together enough to keep them from flying off. 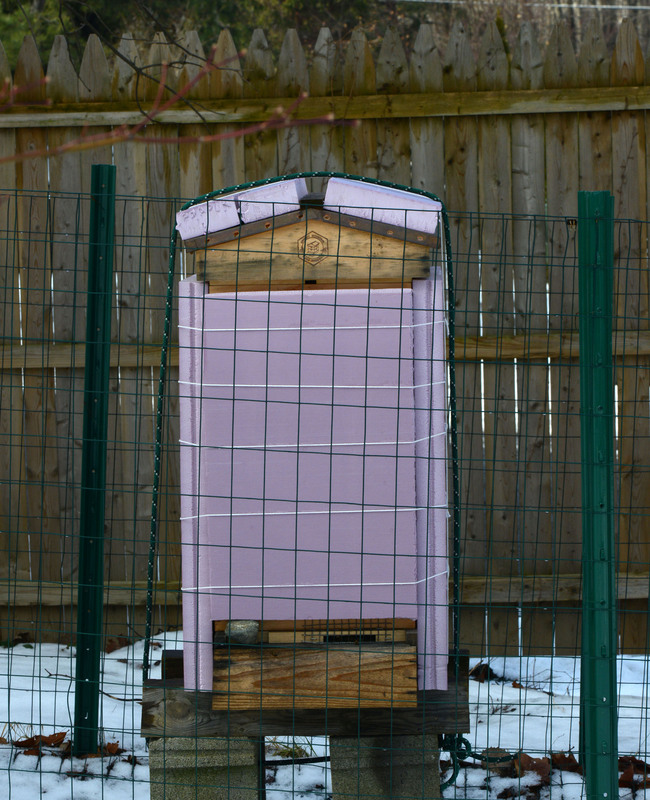 All the books I’ve read and the DVD that came with the kit said to smack the bee cage to round the critters into one clump, then turn the cage over and pour them into the hive. Easier to read and watch than to actually do it. 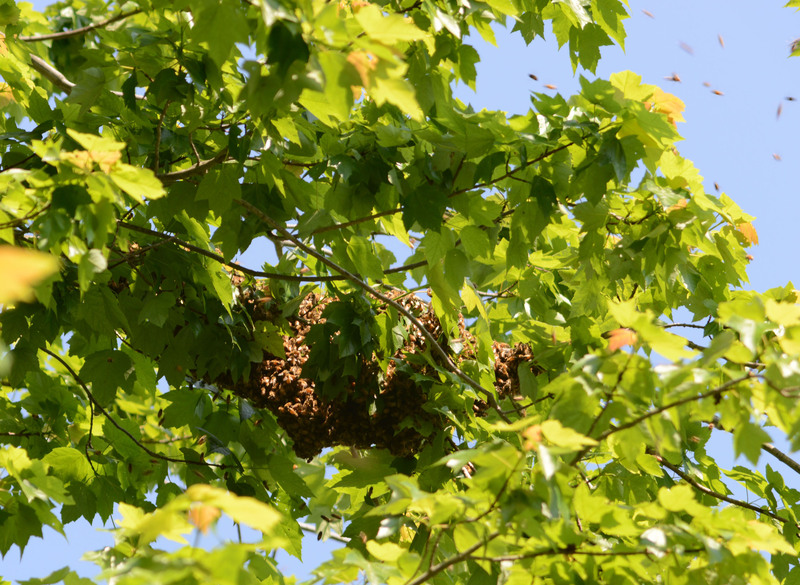 The first clump dropped in but a lot of bees were still hanging in the cage. In the mean time they were flying all over the place. I decided to smack the cage on top of the hive one more time then left the cage next to the hive. I thought they could find their own way out. 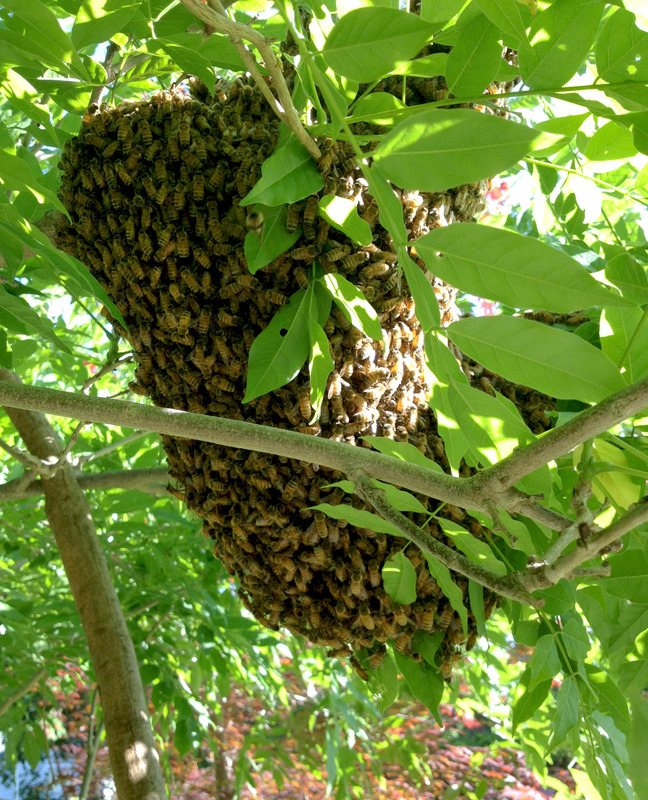 I closed the hive and walked away. I went back to check on them an hour later. 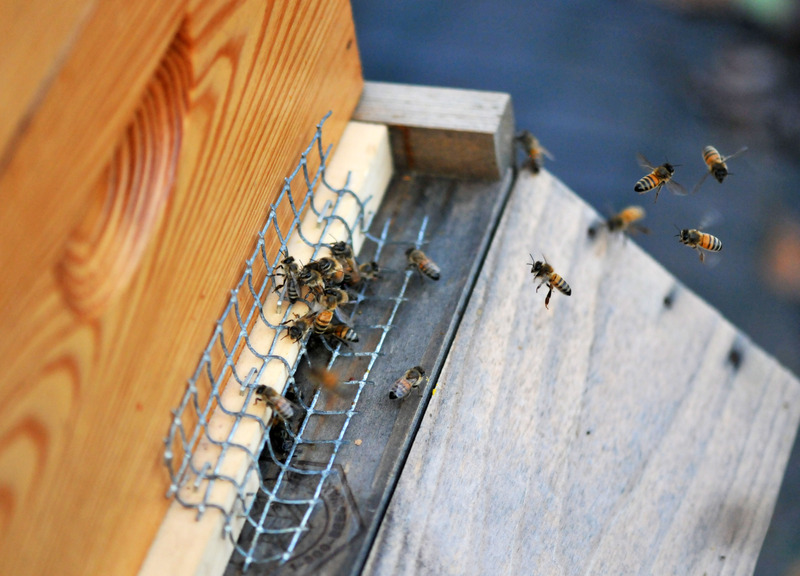 The bees in the cage were still huddled together in a clump. 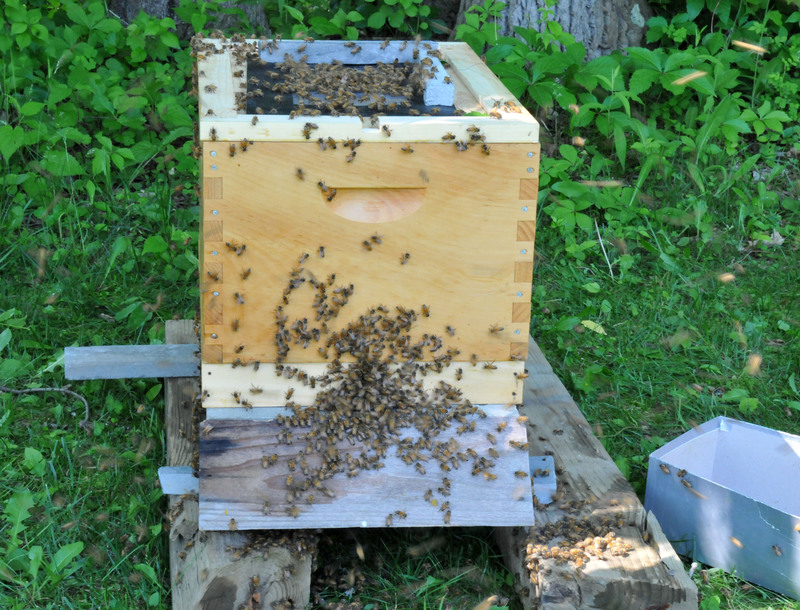 I turned the cage over and dumped them on the ground in front of the hive. 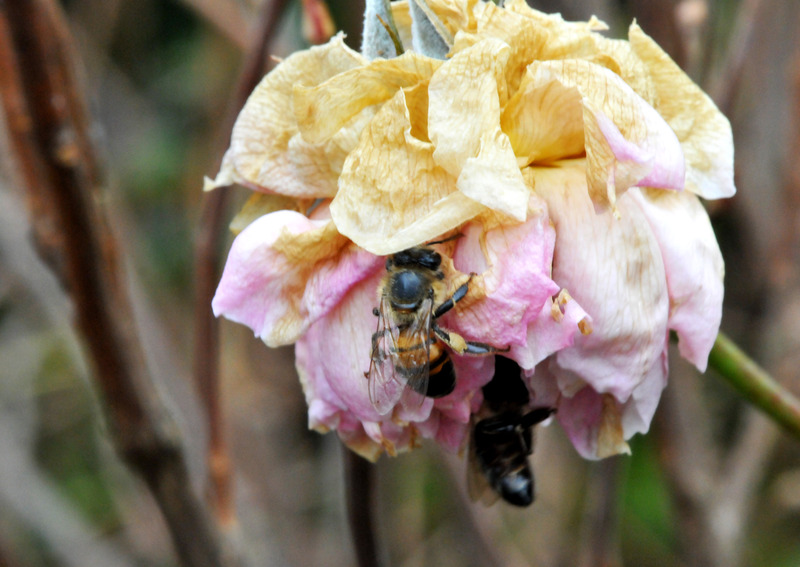 With that, they fly up to the hive. It worked! Through all this I was never stung once. I was told they were very friendly and they were right. I guessed they were hungry. They consumed half a quart of sugar water in three hours. At the end of the day I had to add more sugar water to the feeder. They seemed to have settled down by nightfall. There was a small knot of bees hanging out at the front of the entrance this evening. 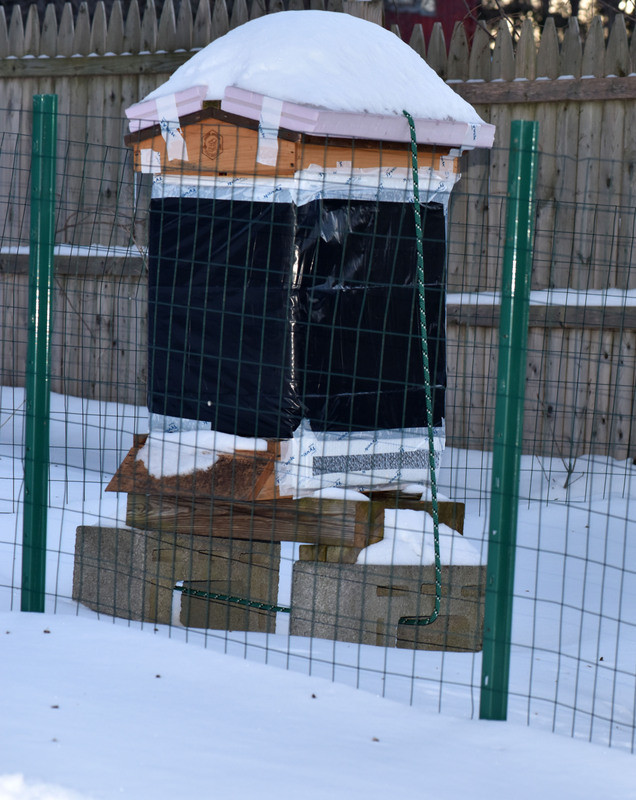 I think they’ve started to make a home for themselves now since I see some bits of wax that they chewed off the foundation dropped on the tarp under the hive.